A county councillor has called for a responsible dog-owners’ charter to be considered, after a lamb was attacked and killed. Coun Kate Cairns, ward member for Longhoughton, shared her views at the recent Embleton parish meeting. 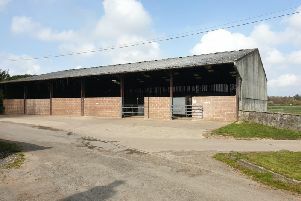 It comes after an incident in April when a lamb was found dead at a farm in Christon Bank. At the time, police said that it was believed that the injuries were caused by a dog and it is possible that someone may have been with the pet at the time of the attack. And speaking at the Embleton meeting on Monday, May 23, Coun Cairns said: “After a lamb was savaged and killed in fields at Christon Bank, I raised the issue of the damage caused to livestock by uncontrolled dogs at the Community Services Hub, which is a meeting of local agencies such as county councillors and officers in enforcement, trading standards, police, fire, etc, and with Northumberland Tourism. While on the subject of dogs, she added: “There is a significant and growing problem with dog fouling and unwanted attention from dogs, especially our beaches and in relation to children, and other areas have taken to banning dogs in certain locations. “I suggest that the parish council include the issue of responsible dog ownership – such as dogs on leads and picking up dog mess – in its Whinstone Times newsletter.